Welcome to Bonjour, Janie! 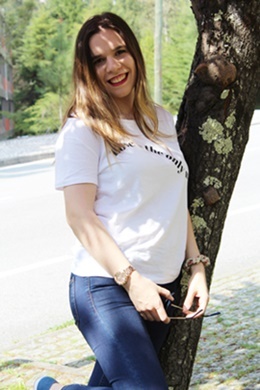 a blog of a 20 years old girl, where you can find posts about my opinion and point of view about different life situations and also posts about fashion, lifestyle and.. photography tips! I'm Joana Bonjour and I'm currently living in Portugal. 2016 was a tough year for me, but it was also the year where some good things happen, and one of them was that I started - after almost two years? - finding myself. I started to know who I am, what I like or dislike, who are the people who I want in my life and the ones who were supporting me and showing me I am loved when I was nedding that, but most important, I started to realize what I want to do with my life. I am a girl who wants to see my family, friends and boyfriend always smiling, I want to see them being the most happiest people in the world. I am the girl who wants to do great at uni and I want to do my best to get myself and family a great life. I am the girl who cares about people who surround me. I am the girl who just wants to be happy living her life. This is me. This is Joana Bonjour. So, you can wait lots of posts full of positivity and happiness always! For anyone wondering why I decided to name my blog 'Bonjour, Janie!' the reason is that my second name is Bonjour and once, my best friend (hi Carol!) called me Janie, so I just put it together and 'Bonjour, Janie!" was born.